Home→City / Town Management→Succession planning: Is your city ready? Succession planning: Is your city ready? The future is always uncertain. Would you have a qualified employee ready to step up into a management position if the spot suddenly vacated due to early retirement, accident or long-term illness? Some cities and towns are tackling those uncertainties by implementing city succession plans or programs that increase employees’ awareness about their city’s workings. 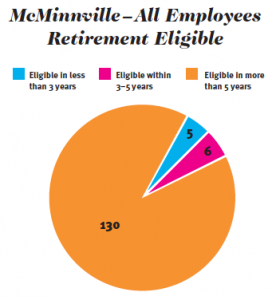 McMinnville, Tenn., has a succession plan in place, which focuses on developing employee’s skills so they are able to step into vacant positions. “I came to work here in 2002 and got a fantastic workforce — lots of longevity, lots of older people,” said David Rutherford, city administrator of McMinnville, Tenn., adding individuals tended to stay with the city, with the police department having more turnover than other departments. That incident and the knowledge several employees, including key personnel, were approaching retirement eligibility age, started McMinnville looking toward formulating a succession plan to fill vacated positions by having properly trained employees on hand to step up. The University of Tennessee’s Municipal Technical Advisory Service provided a free consultant, Bonnie Jones, who conducted research and looked at other municipalities’ succession plans prior to writing a plan for McMinnville. Such a plan requires different thinking. “We really look at the pool of candidates to see potential (for management positions),” Rutherford stated. He added they weighed the open position against the candidates, noting they don’t want to hire someone unqualified for the position. “It takes governments three times longer to hire someone than it takes in the private sector,” he stated. The plan includes mentoring with employees completing classroom experience at the Municipal Academy at UT, in addition to mentoring and job shadowing. 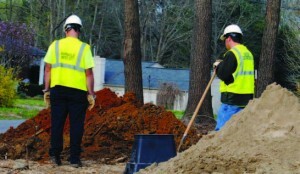 The city also covers expenses for employees to complete beneficial coursework. So far, the police department has experienced a smooth transition with the former police chief having a plan and everything in place prior to leaving for another job. Rutherford stated a captain who was a 25-year veteran with the city was promoted to chief; prior to promotion, he trained for three years. The plan has also split the position of city recorder/finance director into two positions. Rutherford noted they already have someone training with both the state and the current city recorder/finance director, who is planning to retire. “You’ve got to have someone trained,” Rutherford said, adding they also do a lot of cross-training. Springfield, Mo., started its City Ambassador Program last year, allowing city employees to obtain a broader perspective and understanding of how the city operates. City Manager Greg Burris stated the city is one of the most diverse organizations in Missouri, having an airport, zoo, art museum and cemetery in addition to typical municipal functions. And during the 11-month program, participants explored these varied departments one day a month, plus meet other city employees, giving them contacts in other departments. “I started a similar program at Missouri State University,” said Burris. When he implemented the program in the city, Burris noted the department heads were skeptical but as CAmP started their skepticism disappeared and many wanted two program days in their departments. The class consists of 25 employees, a blended mix from 23 departments. “There is a little classroom time,” said Smith, noting most classes tend to be hands-on with field trips to different departments. 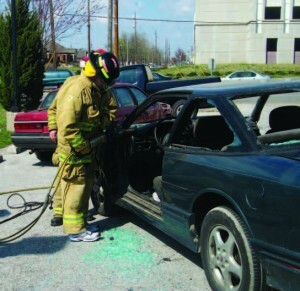 “We try to make it as interactive as possible.” Program days have consisted of participants getting to drive a dump truck, make a sidewalk, watch police dog exercises, use the Jaws of Life and more. Smith and Burris stated they try to give each participant at least one “wow moment” during CAmP. “Each day they are doing something they haven’t done before,” said Burris. Departments and department heads get competitive, in a good way, to help participants get those moments — with departments trying to one-up each other during their program days. Smith noted it really increases employees’ enjoyment of CAmP. Even Mayor Bob Stephens joined in on public works day, operating a backhoe. This togetherness is further promoted with the golden goose traveling trophy, which goes to employees in different departments to recognize their work. It earned its name because geese fly together. “We are all in it together,” Burris said. “It’s the a-ha moment we want to achieve — that we are all in it together. “This has become a feather in their professional career,” he added. “We have seen several promotions.” Program participants also receiveca 360-degree view of the city and how it all works. “They get an advantage over internal and external candidates. It helps to create a well-rounded employee. 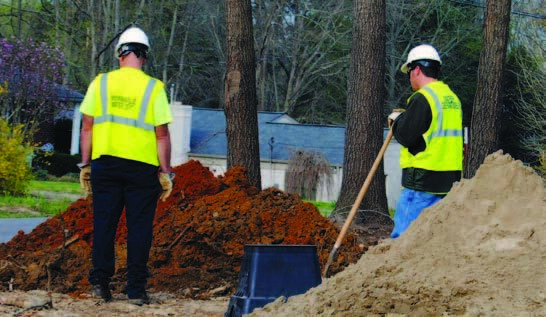 For more about McMinnville’s succession plan, visit University of Tennessee’s Municipal Technical Advisory Service website, www.mtas.tennessee.edu. For information on Springfield’s CAmP program, visit www.springfieldmo.gov/camp.